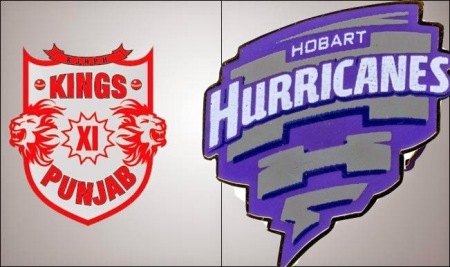 Sydney, May 8 - Australian batsmen Glenn Maxwell and George Bailey have led the Kings X1 Punjab to the fifth highest score in the Indian Premier League (IPL) during a 44-run victory over Chennai Super Kings on Wednesday at the Barabati Stadium, Cuttack. Maxwell's 90 off 38 balls against Chennai took him to 435 runs for the tournament after just seven matches and he, along with Bailey, Virender Sehwag and David Miller tore the Chennai Super Kings attack apart as they raced to 4-231 from their 20 overs. Sharjah, April 23 - Another stunning batting performance by Glenn Maxwell helped Kings XI Punjab thrash Sunrisers Hyderabad by 72 runs for a hat-trick of wins in the Indian Premier League (IPL) here Tuesday. Maxwell, who had struck 95 and 89 in the last two games, again came up with a whirlwind knock of 95 in just 43 balls hitting five fours and nine sixes as Kings XI made 193 for six in 20 overs. Veteran pacer Lakshmipathy Balaji starred with the ball picking up four for 13 from his four overs as Sunrisers Hyderabad were bowled out for 121 runs with four balls to spare. Sharjah, April 21 - Another superb show of batting by Glenn Maxwell gave Kings XI Punjab a massive seven-wicket win over Rajasthan Royals in a big run chase in the Indian Premier League (IPL) at the Sharjah Cricket Stadium here Sunday. Former champions Rajasthan Royals thought they had a winning total on board after half-centuries from Sanju Samson (52) and skipper Shane Watson (50) took them to a competitive 191 for five in 20 overs.